Holy Name of Jesus Cathedral, Sears Contracting, Inc. 2017 CertainTeed Gypsum Trophy National Winner, Non-Residential Construction, U.S. The music industry has the Emmys, the film industry has the Oscars, journalists have the Pulitzers, and well, drywall has the Trophy Awards. Every two years, a panel of experts in the gypsum industry gather to review the finest examples of craftsmanship, ingenuity and innovation in drywall design in the world. The submissions to this prestigious event range from towering gilded churches to versatile athletic centers to expertly designed residences demonstrating excellence in health and environmental design. 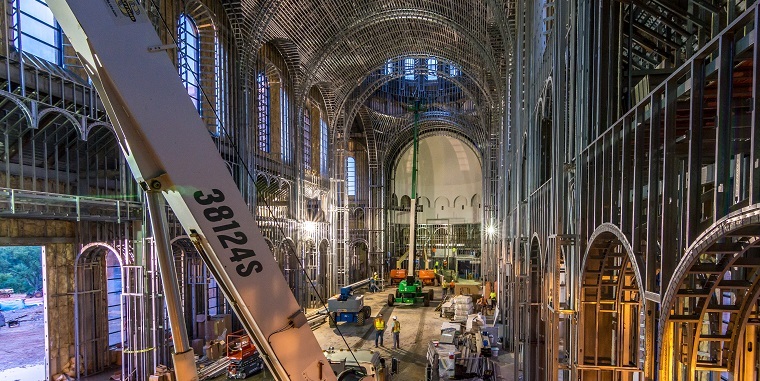 The contractors behind these great works of art are more often operating behind the scenes; the spirited laborers and pioneers that make architectural design a reality are rarely celebrated for their skill and creativity on the job. And so for one day the tools are ditched, the work belts are left behind, and the drywall and finishing contractors responsible for these masterpieces don their suites and gowns and stand to be recognized for their efforts, imagination and shear breadth of talent. The 2018 international competition in Lisbon featured 87 projects including 16 of those submissions from North America. 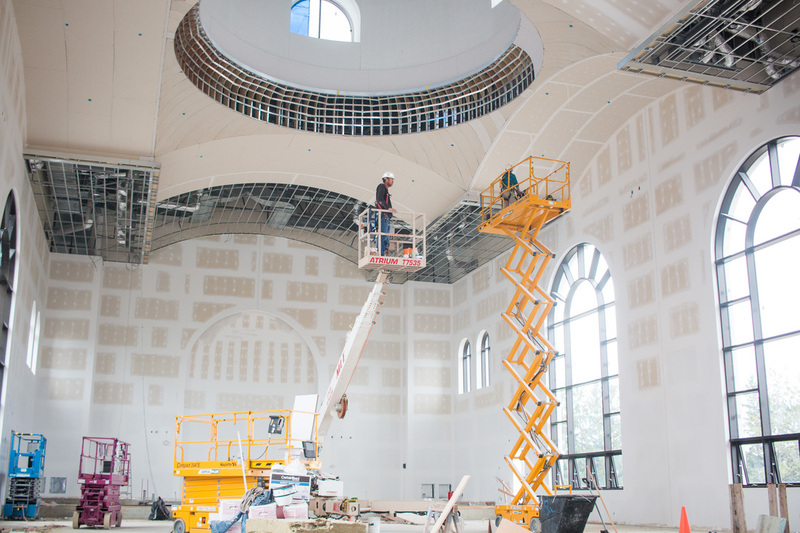 Pictured here: Saint Mary and Saint Samuel Orthodox Church, Smith Brothers Contracting Corp. 2018 International Winner for Plasterboard Category, Canada. What is CertainTeed Gypsum National Trophy? 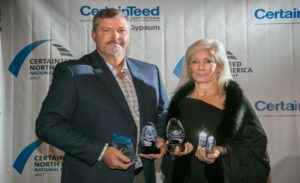 The CertainTeed Gypsum Trophy is a national competition to honor those craftsmen and women who use gypsum solutions to deliver on the promise to build a better world. The national competition serves as a chance for drywall and finishing contractors across the U.S. and Canada to get together, review, admire and applaud each other’s work on a regional level. Winners of the national competition will proceed to the global stage at the Saint-Gobain International Trophy awards. Here contractors from around the world will stand among the finest craftsmen and women in the industry, and projects will be evaluated by a jury of industry professionals to determine the best of the industry. Top entries will be invited to attend the 5th CertainTeed Gypsum Trophy event in Phoenix, Arizona where they will compete for the top prize in one of four awards to be issued at the event (Residential Winner – U.S.; Residential Winner – Canada; Non-residential Winner – U.S.; Non-residential Winner – Canada). The winners will then carry on to represent their countries in the 12th International Trophy competing with the most prestigious projects from around the world in Athens, Greece in April 2020. What Makes a Project Trophy Worthy? River Watch Model Home, Michaels’s Homes. 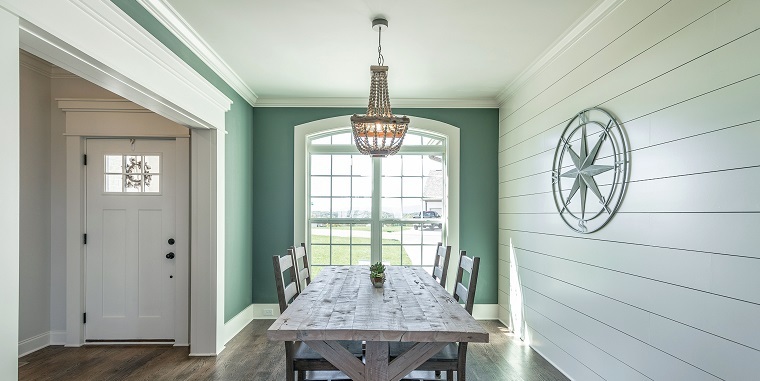 2017 National Winner Residential Construction, U.S.
At its base the competition is open to all contractors that can demonstrate use of CertainTeed products in the build. At its extreme it is highly ornate structures, grand churches or massive airport wings. In reality it’s a little bit of both and a lot in the middle. Judges review the project for quality and craftsmanship, innovation in design and execution and presentation. Trophy is accepting applications through May 1, 2019. If you have questions about the program email us or call us at 1-866-532-8436 or visit Certainteed.com/trophy for more information. Sign up now to get email updates about the competition. Plus, learn more about all CertainTeed efforts to help keep craft alive.